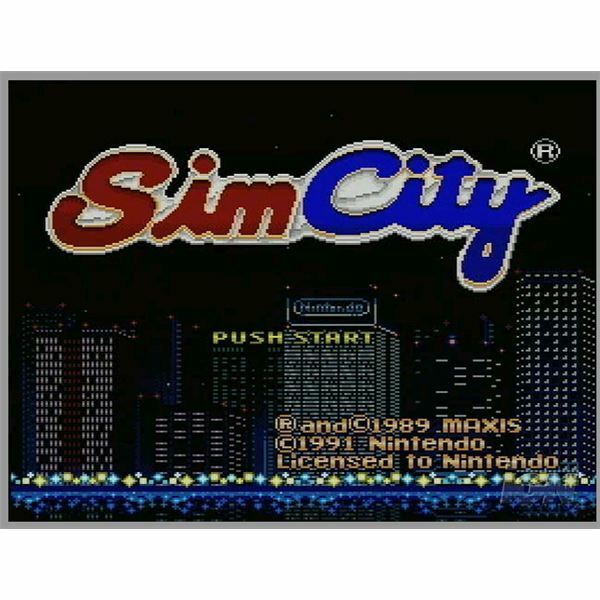 SimCity in the Wii Virtual Console is basically similar to the SNES version of the game. Apparently, Nintendo realized that by bringing the classic and popular games to the Wii, it will attract the more solid players. 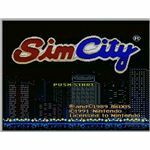 If you need help with SimCity and can't find the SNES version, or you think that it's totally different from the Wii version, don't worry. This is the Wii walkthrough for it, which well basically is the same. However, if you think that bringing an old game to life might be a waste of your time, check out this review first and then give it another go. 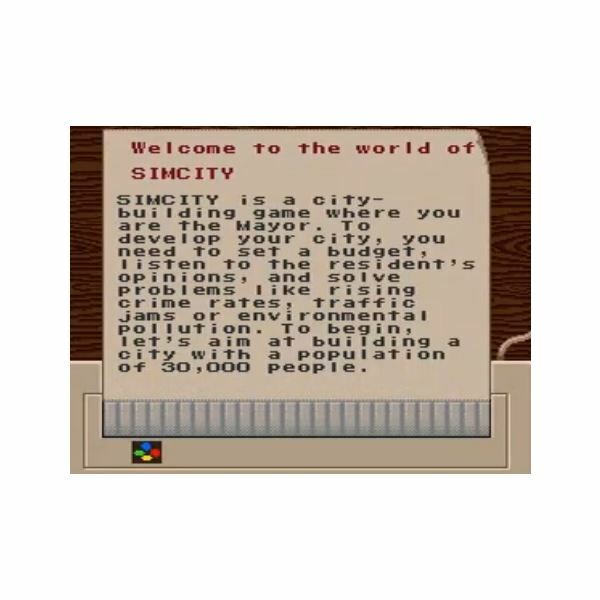 So what's Sim City? 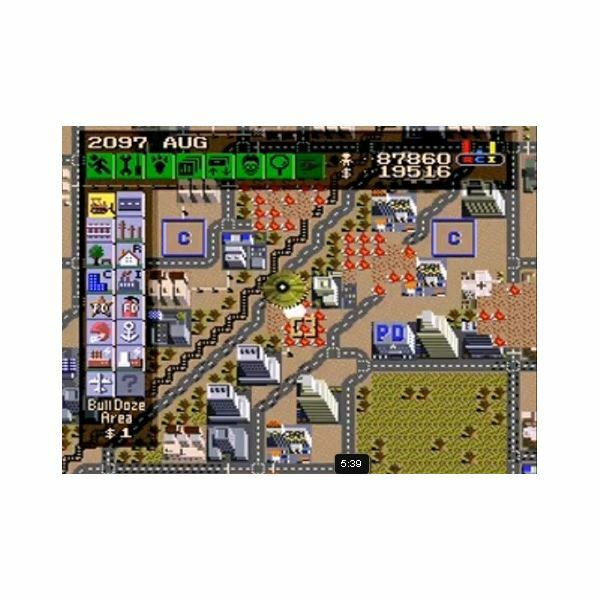 Its basically one of the first city (if not the first) simulation games where your job is to build structures that are found in your average bustling metropolis. You can also control various natural occurrences like fires, earthquakes and what not. 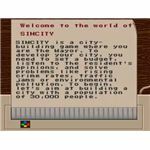 Now since SimCity is basically a world builder and the way you position your plants, building and bridges are entirely up to you, it will be hard to give an actual guide as to what you have to do. So what we'll be doing for this guide, is letting you know the requirement for each tier that will lead you on to the final bustling Metropolis that you need. Also, let's go about completing the scenarios in the game. What are scenarios? 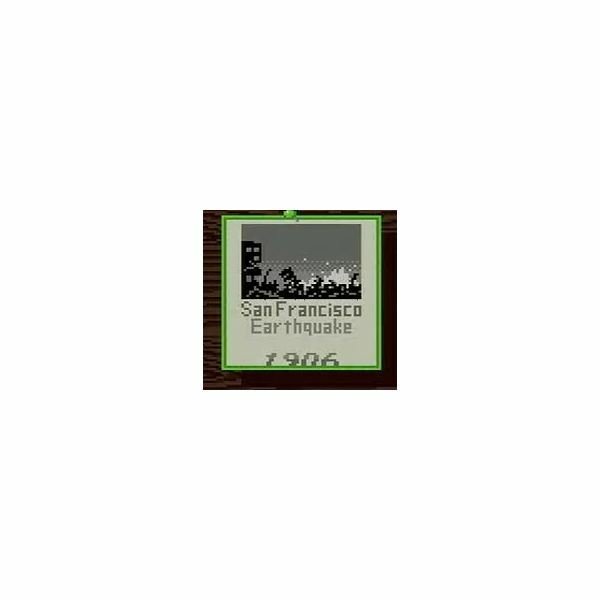 Scenarios are special case in SimCity where you have a situation and a specific goal to complete each level. 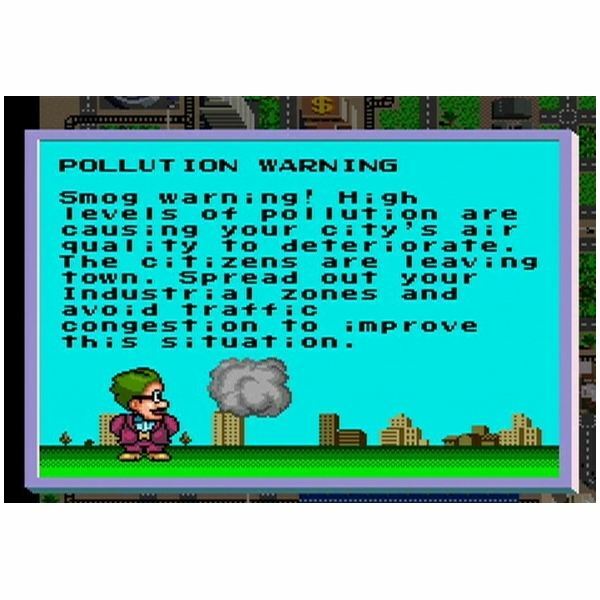 If you're not yet familiar with how SimCity works, I suggest you play the Practice level first. Here you'll be instructed on proper gameplay, controls and various features that will be available to you as the Mayor. The practice mode will require a population of 30,000 people here. The most you can make of this island is a Metropolis. It's not needed but will surely test your city skills. So you'll start off with a village of course. Again, I'll leave the construction up to you. But what does a village entail? The lowest rung of the ladder of course. Now, area description will be based on your population growth. So a village means you have a population of 2000 or less. Following that is a Town with 2000 - 10 000 people in terms of population. 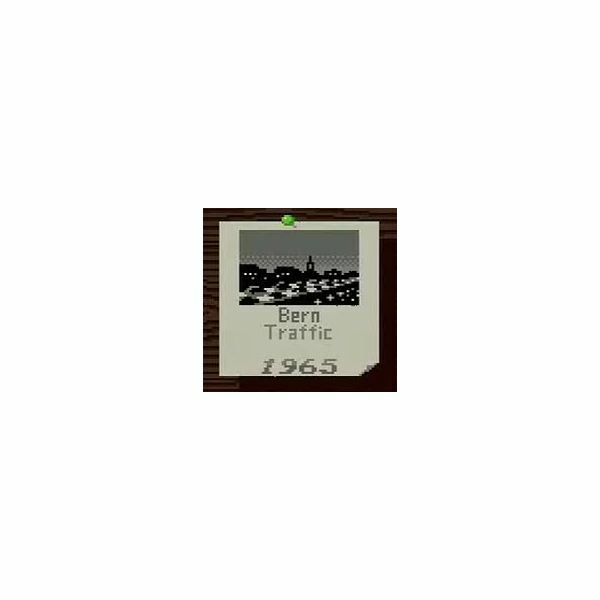 From town, you'll become a city once you cap the 10,000 limit and go beyond to reach 50,000. In the practice mode, you'll only need 30,000 people. That means you'll just need to achieve the status of city and keep building for a while longer. If you want to max out the practice mode, you can upgrade your city to a capital (Population: 50,000 - 100,000) and then really stretching it, go for Metropolis status at 100,000 to 500,000 people. However, playing the Sandbox version means you can go beyond this and reach the maximum population status 500,000. 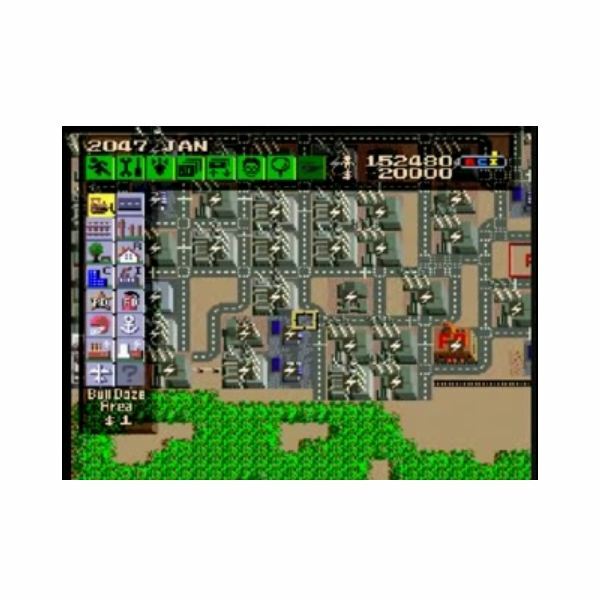 That's the Megalopolis and only the true SimCity master can make it to this tier. There are about 999 various maps, meaning 999 ways to create a city of your own. Although I highly doubt you'll want to play this game 999 times over. Most of time, one to two megalopolises is enough. If you get bored with the game, why not try a scenario? This is actually what the guide will feature. 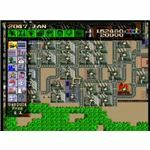 The SNES (and further on the Wii version) version of Sim City has 6 scenarios for you to complete as well 2 bonus ones for extra effect. Think of it as levels in a game. If you're done with that and are still looking for some extra action, why not complete all the gifts that can be granted to you? If you're intersested, read on to find out what the gift requirements will be and what they actually entail. That being said, let's deal with each scenario as it comes along. 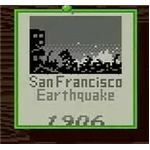 It's 1906 and a disaster in the form of an earthquake has ravaged San Francisco. As its mayor you'll need to solve this situation expediently and within your term. You'll have 20,000 for city budgets, a population fo 106,880. 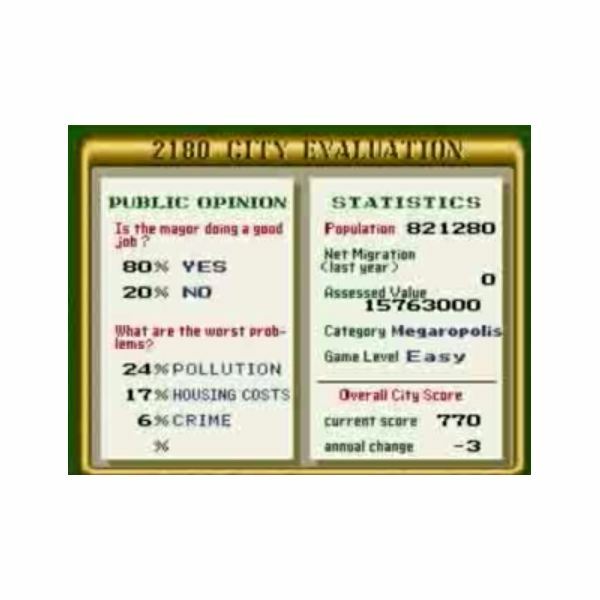 Crime is the highest 34%, pollution at 17% housing costs at 8% and dreaded taxes at 21%. Since this is the first scenario. Count on it to be easy. The earthquake will create fires around the city so build fire stations near those burning building and then demolish the buildings that have been struck by fire. Now, to lower the crime rate, build Police Stations near the high crime areas and make sure the crime rate drops to below 10%. Taxes have to be lowered, so make sure you can lower it as much as you can. 1961, Tokyo. What's the use of being a SimCity god if you can't deal with a little monster attack? 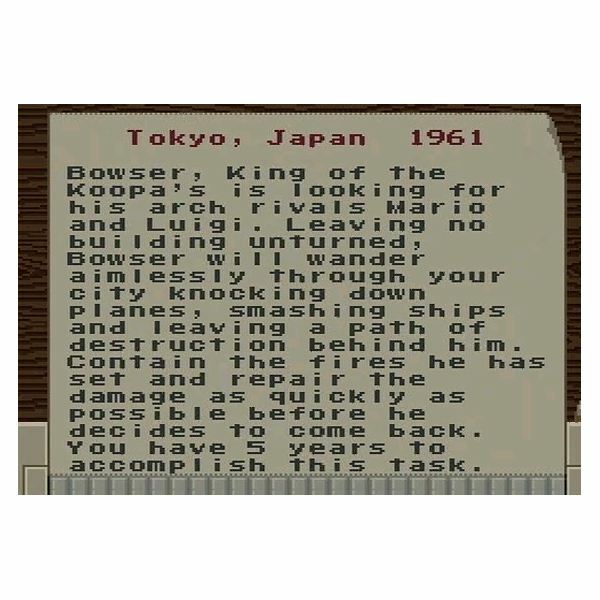 Godzilla smodzilla, the true monster of Tokyo is still Bowser. You know him, Princess kidnapper? Plumber's arch nemesis? Yup, him. 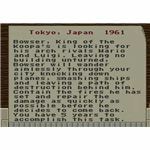 In his bid to destroy Mario and Lugii, Bowser will pass by your beloved and leave disaster in its wake. Fire will spread, so much like the first scenario - delete the building and build fire stations to contain the fire. Once you've dealt with the fire just go about rebuilding what you destroyed and you'll be ready to move on to the next mission. 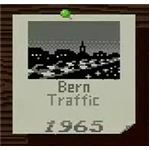 Its 1965 and at the Swiss Alps, traffic, yes traffic is the main evil. The mayors before you seem to have poor foresight because the roads they build are useless and time consuming. And in a city where no one likes to walk, traffic is really a monster. And when people are mad, they turn into lynch mob. Three guesses who's head they want? You have 10 years and 20 grand to fix this issue. So I suggest replacing roads with railways and rerouting your areas. If a road isn't need take it out. If the traffic density is too high somewhere, use the train. why? Think about it, maximum number of people in one cart going somewhere very very fast with no other distractions. Aside from that, delete the roads you don't need. Fancy smanshy road engineering won't do you any good if it's not efficient. Finally, deal with the high tax and crime rates (22 and 21% respectively) to make everyone love you. Sounds easy right? Now aren't you just glad I'm here? Back to the good ol US of A to the fabulous 70s where things aren't as copasetic as you think they are. 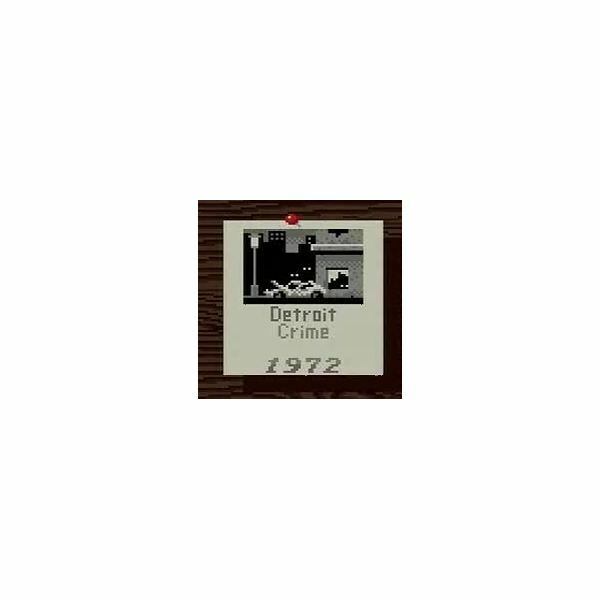 Detroit is suffering economically and there is a growing disturbance everywhere. Employment's down and morale is low (hmm... parallelism?) 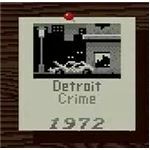 which leads people to resorting to illegal activities all over your city. Crime is at an all time high of 31% with pollution following a close 20%. Armed with only 20,000 and ten years to fix the issue you still have to deal with taxes and housing costs. How will you solve this now? First, you seem to have too many fire stations and you don't really have any fires going on. Replace those fire stations with police station and focus on the high crime rate areas. Once that's lowered significantly try and boost the morale by alleviating the people from high tax rates. If you do, then this can augment the fact that you've been ignoring Detroit's pollution problem and turning it into a growing waste basket instead. 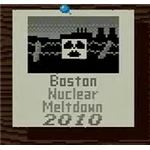 Its 2010 and back when SimCity was created, they really thought a nuclear meltdown was possible. Maybe its not in the real world but in your city, that's the big problem you need to face. Almost 80,000 people at the risk to nuclear exposure and a staggering amount of waste that just needs to be cleaned up. Armed with only 20 grand and 5 years to fix this mess, are you sure you're up to it? Of course you are! Once you've actually cleared up all the mess that the explosion has left behind, i.e demolishing destroyed buildings, putting out fires and replacing roads with railways - the pollution rate will drop significantly. 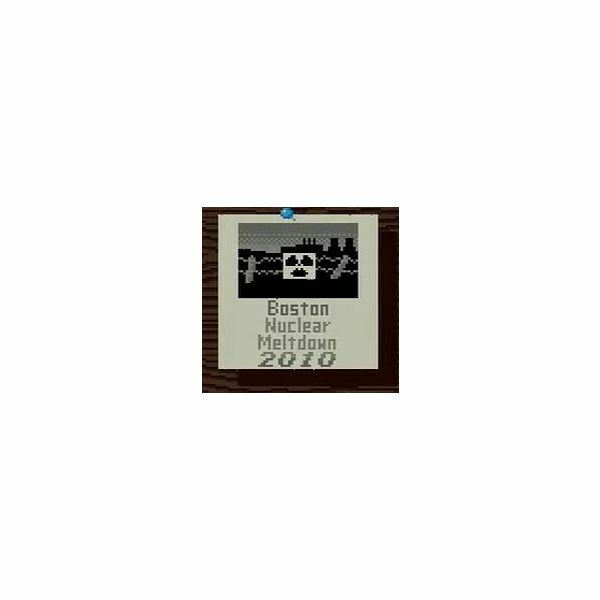 That means all you have to do now is restore Boston's industry to the way it was before the explosion happened and push further than that. So what do you need to do? Restore electricity to struck areas, build business and put up police stations to maintain the peace. Otherwise, you'll be faced with a mutiny and no where to go from here. Fast forward to 2047, with over 150 000 denizens under your wing, how in heck will you deal with coastal flooding? Add to that, a limited budget of 20,000 and a measly ten years to pick your city back up on its feet again. Flooding is very difficult to contain, there are no "water stations" to build and definitely hard to fix once its occurred. However, you can combat this by building Parklands where the flooding occurs. That way, you'll have your trees sap up the water and clean your city too. Rebuilding Rio will be difficult but not impossible. Start by moving industries to where the floods can't reach them - the forests. Afterwards, lower the pollution (53% can you believe it?) by building a Nuclear Plant and demolishing a coal plant in return. Finally, to make sure that this sort of disaster doesn't happen again build good residential areas near the coasts in order to prevent more flooding. Finally, have the local LEOs cover the crime prevention and you're basically done with this. What happens in Vegas, stays in Vegas right? That seems to be the government's solution to a range of UFO attack in this city. Unfortunately you're the Mayor so you have to take the blame. Revenues from casinos are dropping because gamblers are fleeing for their lives. Population has dwindled to a measly 81,000 so you need to make Vegas a metropolis again. How in heck will you do that? Simple. Put out the fires caused by the UFOs but don't rebuild them just yet. Make sure that the police are cracking down on crime to put your citizens at ease while building at the farlands of the city. The aliens come back and they want more damage. So just keep a steady hand on the fire and make sure that towards the end of your tenure, you spend it building as much infrastructure as you can, funding the police and lowering taxes. Its the last scenario of the game and this is actually much like the sandbox version, except with a flat land so its easier. Now your task here is to create Marioland. Yeah you heard me, Marioland. 20,000 and a goal of a Megalopolis. Take it easy and cruise along, there's no time limit, no problems whatsoever. Just create your utopia and have fun! With that, we're done. I hope you had a great time going back to playing one of the ultimate classic simulation games that was ever released. Now if you've liked it, loved it and played it and are looking for some new thrills, why not try the Sim CIty 4 Deluxe Edition or the Sim City Creator? They're guaranteed twice the fun with triple the enjoyment!